Are you an endurance athlete training your body to go the distance? Are you accustomed to high impact, high intensity performance workouts? Are you used to swimming, biking, and running yourself to the finish line? If so, your largest muscle group - also known as the global mobilizers - are very well developed. In fact, you're a vision of rippling power. In most cases, athletes strengthen the muscles they need to enable them to endure hours of high performance while overlooking the smaller, intrinsic muscles that support and protect their joints. The smaller local stabilizers and global mobilizers can be trained to fire to support your joints as well as your big global mobilizers. Utilizing all of your muscles synergistically will reduce the risk of injury, correct imbalances and help you become a stronger, faster, more flexible body in motion. Your current workout regime is..
During the off-season, I decided to try Pilates to mix things up. 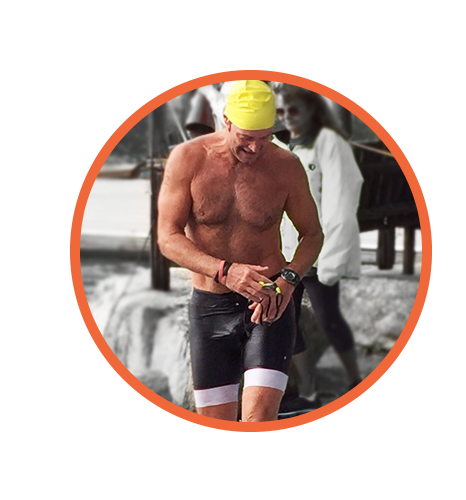 As a triathlete, I'm accustomed to powering through all my workouts. After working with Amy for a month - who "isn't interested in my power" - I'm learning to use all muscle groups together. I'm blown away by the benefits I'm experiencing. I see changes in my core, feel better, less stiff, and I'm performing better. As I age, I'm learning the importance of training smart. Pilates will be a part of that regime moving forward. I'm a believer!